Kirksville Dental Group has had a few changes over the last few months. The first change happened in November when we upgraded our panoramic (full mouth) x-ray machine to digital. Digital x-rays decrease the amount of radiation exposure for the patient and it has also decreased the amount of wait time for the patient. With our old pano, it would take an average of 10 minutes to take and process the x-ray. Now, it takes a split second for it to be on the screen in the patient's room. 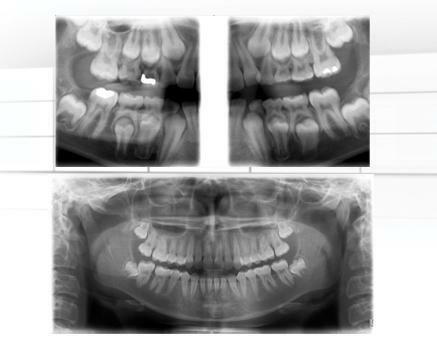 Another benefit of the digital pano is we have the capability to take bitewing x-rays on children who are unable to tolerate film in their mouth. Next time you are in the office, feel free to ask us about the new machine and to take a look at it! In January we closed the office for three day's to install new flooring. The old flooring had been in the office for over 10 years. With all of the traffic in and out of the office, it was showing its age. We are thrilled with the way the new flooring looks. Previously, treatment rooms had carpet, now it has a new hardwood floor look. Stop by anytime to see what we are doing with the office!